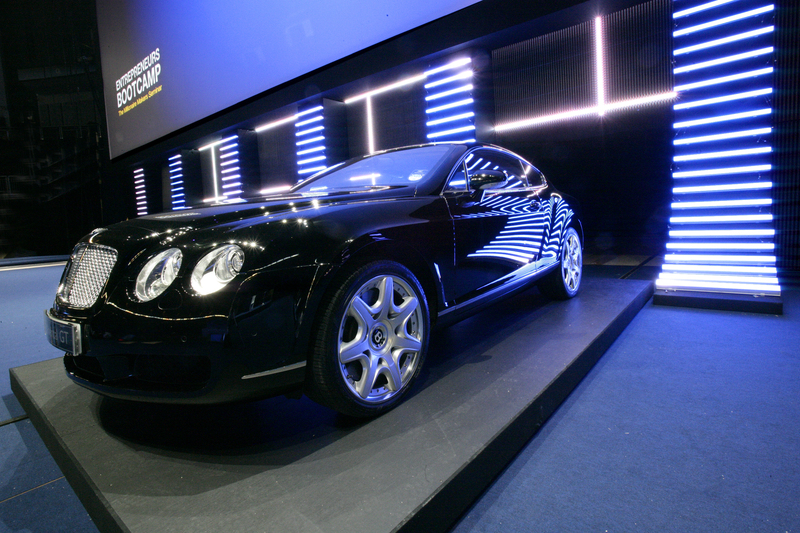 From a specially constructed stage at London’s O2, capable of holding the 3 ton Bentley Continental GT, Entrepreneur Andrew Reynolds held a prize draw as the culmination of his Entrepreneurs Bootcamp event. All 7,500 attendees were each given a chance to win Andrews Bentley as part of their entry ticket for the Bootcamp. “The Entrepreneurs Bootcamp was held to raise money for the Make A Wish children’s charity. 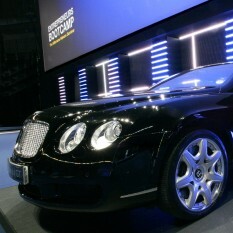 I decided to offer the Bentley as a prize to ensure we raised the maximum amount of money form the 2 day Bootcamp. Andrew Reynolds was joined on stage by TV star Bradley Walsh who acted as compére for the prize draw. Also on stage to oversee the draw and to verify the validity of the proceedings was a representative from specialist Prize Draw Verification Company Promo Veritas. Under their watchful eye – four lucky attendees were invited to the O2 stage and asked to chose a coloured box at random. Inside each of the boxes were prize envelopes. Three boxes contained tickets for Internet Training prizes worth over £2,000 each, provided by speakers at the Charity Bootcamp event. One box, of course, contained the winning ticket for the Bentley. Reading based Joe Santos (originally from the Philippines) leapt with joy and excitement when the four were asked by Bradley Walsh to open their prize envelopes and he realised he had won a Bentley. “It was so nice to hand the car to Joe and his family – really nice people who really appreciated the difference that the prize could make to their family.” Said Andrew Reynolds.